Superdry women's Ashby long sleeve top. 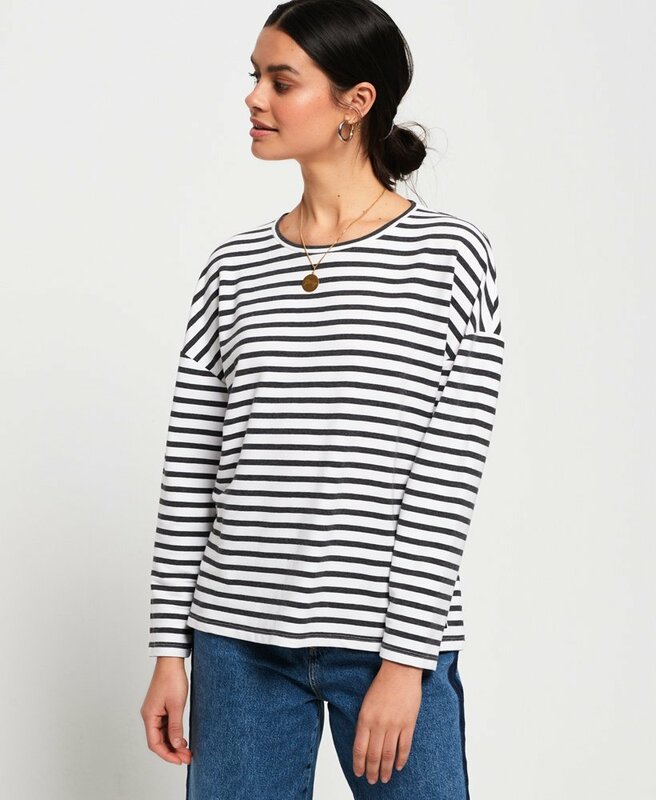 This long sleeve top features an all over stripe design and is cut to a relaxed fit. Finished with a Superdry logo badge above the hem.